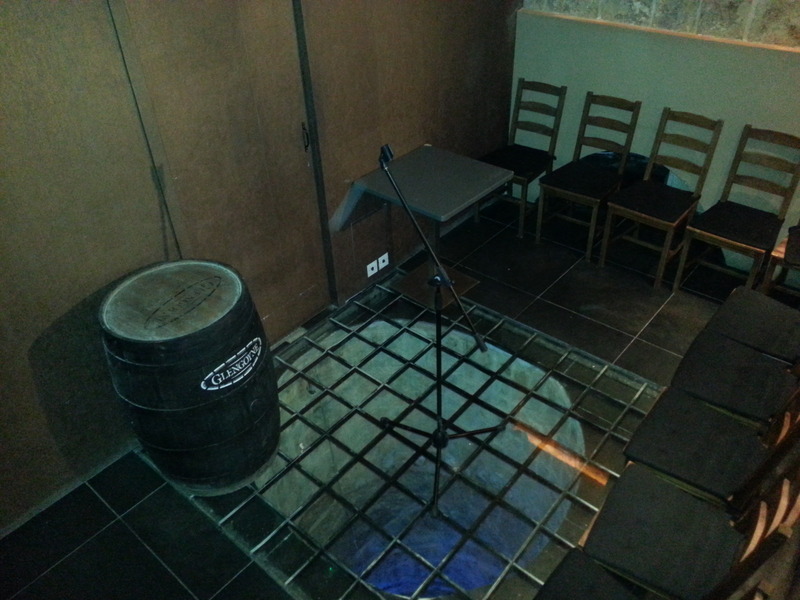 StrEat Whisky Bar and Bistro was the location for the Whisky Comedian’s first visit to Malta. Local comedy promoters The Wembley Store Boys organised the trip with a little help from their local drinks distributors Farsons. Two fun filled shows playing to packed audiences of 60 + per show were enjoyed. The Saturday evening audience was one of the most interesting ever, it featured several American Embassy staff, one of Malta’s most senior lawyers and a newly elected member of parliament. Wow! 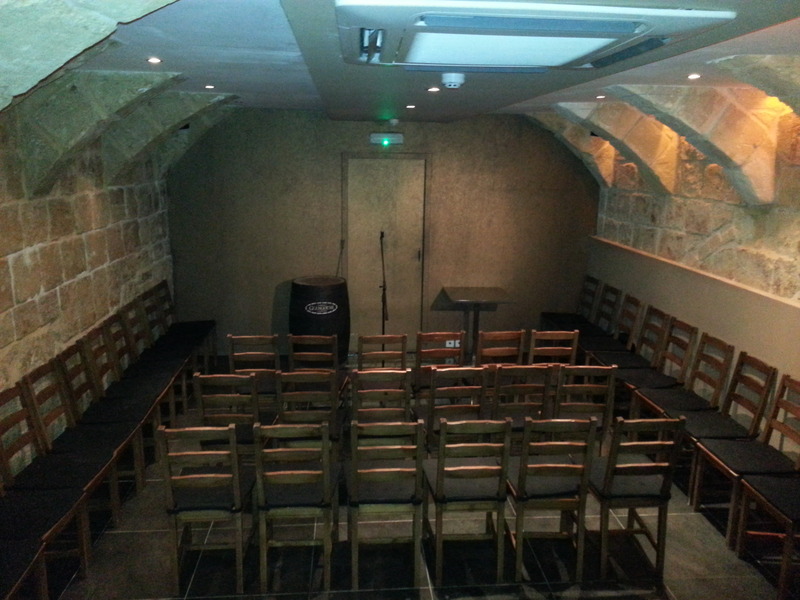 During World War 2 the venue was used as an air raid shelter. Malta’s capital Valletta was the most heavily bombed city in the first half of WW2. 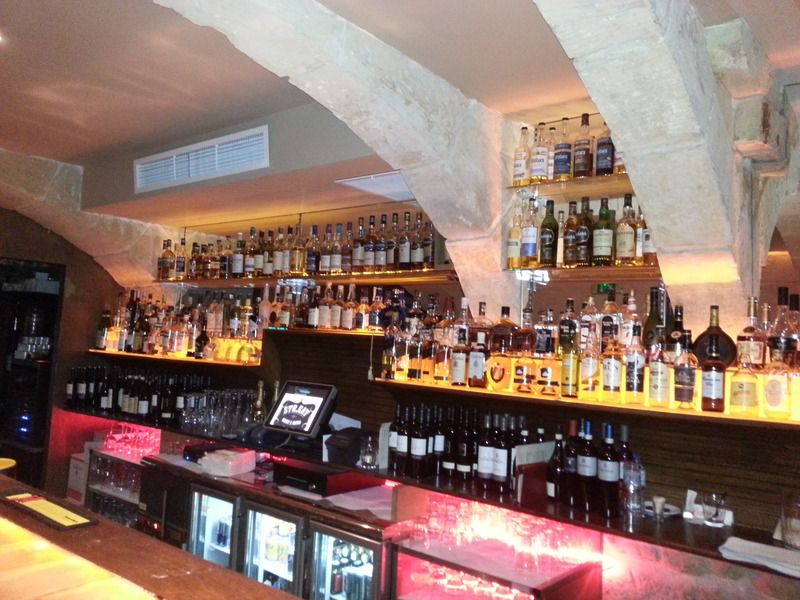 SteEat has a fantastic range of whiskies, particularly independent bottlings. All set up for the show. 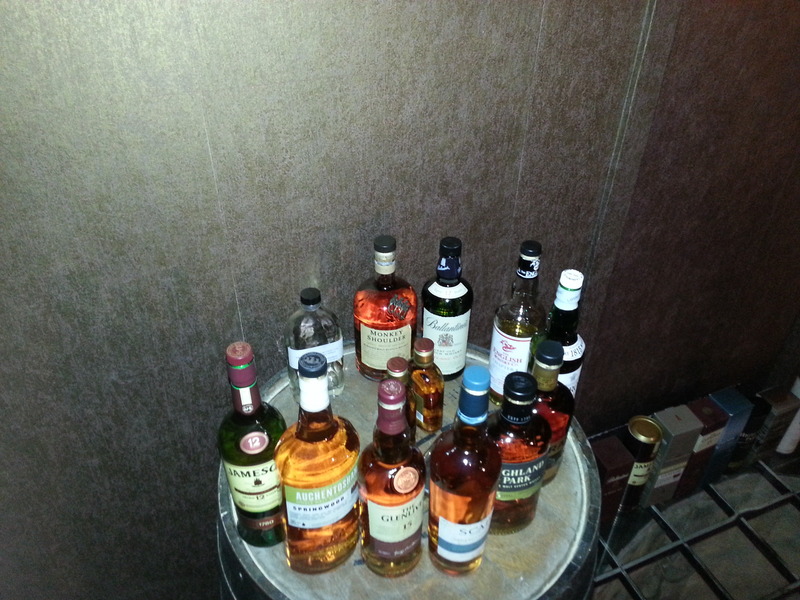 Ballantines 17yo, Jameson 12yo, Auchentoshan Springwood, Glenlivet 15yo, Scapa 16yo, Highland Park 15yo, Jura 16yo, Laphroaig 10yo, English Whisky Co Chapter 4, Monkey Shoulder, Johnnie Walker Red Label. 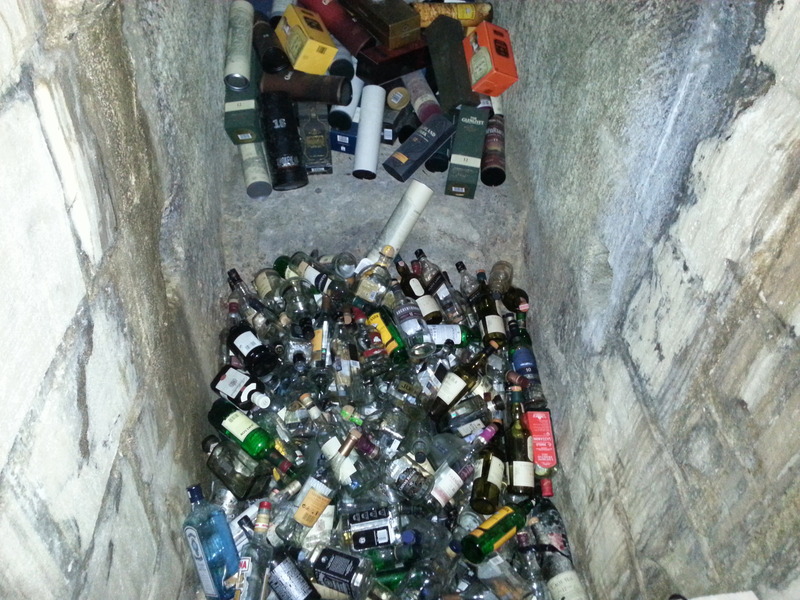 Where Maltese Whisky bottles go to die. 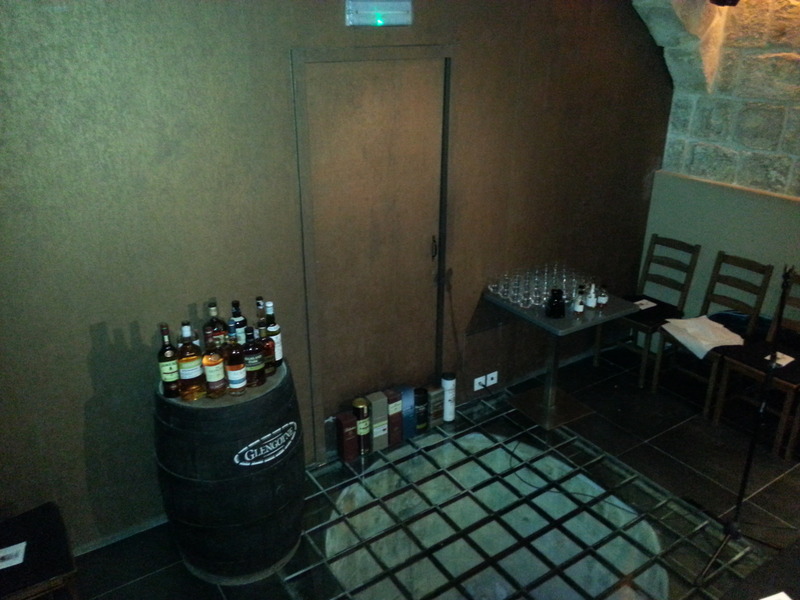 Big thanks to the Wembley Store Boys, everyone at StrEat Whisky Bar & Bistro, Farsons, Hilton Malta, and Yellow Cab Co Malta. Much fun was had.